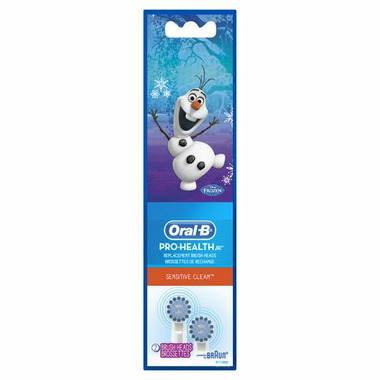 With Oral-B Disney's Frozen rechargeable toothbrush Brush Heads, discover a world of both superior clean and longer, happier brushing. Now featuring characters from Disney & Pixar's Finding Dory. Extra soft bristles are gentle on children's teeth and gums. Outstanding clean for teeth and gums. Raised row of blue bristles are designed for cleaning chewing surfaces.